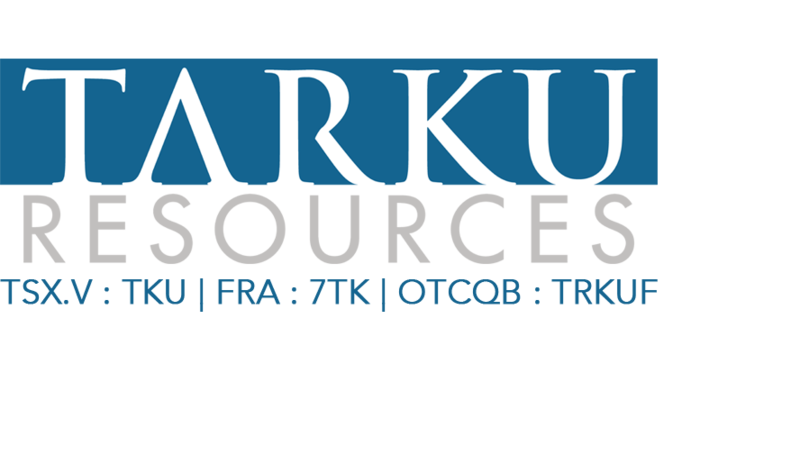 CRANBROOK, BRITISH COLUMBIA - Aug. 8, 2016 - Tarku Resources Ltd. (TSX VENTURE:TKU) (the "Company" or "Tarku") announces that it has amended the option agreement (the "Agreement") with Eros Resources Corp. concerning Château Fort Properties, located in the province of Quebec. Under the terms of the amendment, Tarku is not required to make further cash or share payments to Eros. The initial option agreement with Eros stipulated that Tarku was to make staged cash and share payments totalling $100,000 cash ($15,000 paid to date) and 8,000,000 shares of Tarku (2,000,000 issued to date) over a five-year period that started in 2015. In addition, the terms of the Net Smelter Royalty to Eros have been amended. Eros still maintains a 2% Net Smelter Royalty, however Tarku can now buy 1% for $500.000 on or before the commencement of commercial production instead of $2,000,000 as stated in the original agreement. The amended agreement provides Tarku with much more flexibility in advancing the property, as it ensures that the Company can deploy the maximum amount of its capital on exploration, as opposed to using it making option payments. Sylvain Laberge "Is pleased of the outcome of the negotiation with Eros and his management willingness to build a long term relationship, Tarku plans to use the proceeds of the last financing to explore the geophysics target identified in the last survey"
The Chateau Fort property is along strike and directly adjacent to the past-producing Eastmain Mine, which is the property of Eastmain Resources Inc. The Chateau Fort property is 18,867 hectares in size and is road accessible. The property includes Au, Ag, Cu, Zn and As anomalies from the prior operator's geochemical surveys (lake bottom, soil and stream sediments). Compilation work has identified nine high-priority gold targets for follow-up. Numerous geophysical targets including a number of high-priority features have been outlined as a result of the recent interpretation of the 2,100 line-kilometre airborne electromagnetic survey conducted in the summer of 2015. The survey was flown by Prospectair Geosurveys (Prospectair) using the ProspecTEM time-domain electromagnetic system with a line-spacing of 100m. This press release was revised by Bernard-Olivier Martel, P. Geo., Qualified Person pursuant to National Instrument 43- 101.